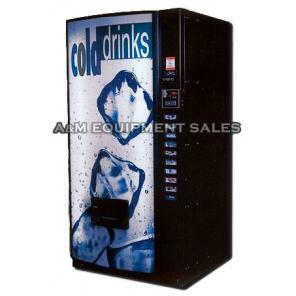 The Crane National 148 and 158 snack machines have a width of 32″ and can be easily pulled through a standard commercial 36″ door and does well in medium size locations. Crane National 148 Snack Machine has dual helixes in order to aid in vending snack items correctly. The Crane National 1478 Snack Machine also has scrolling prices so you never have to look for price labels they are already there. With 36 selections and of snacks and 16 chip-pastry selections and 16 candy-crackers selections and has an additional 4 selections of gum and mints. The Crane National 148 Snack machine has the selections and capacity a small to medium size location demands. We also have the newer version the National 158 Snack Machine for $100 dollars more which is MDB compatible and takes an updated MDB coin mech and bill validator. Every one of our machines go through our extensive refurbishing process so that when it is finished it looks and works like brand new. Many parts are replaced since we have had years of experience knowing just what to replace to the make the machine work correctly. Check out our refurbishing video on the home page. Optional updated new electronics can be installed for $400.00. Optional New Conlux coin mech and bill validator with two year warranty for $309.00.